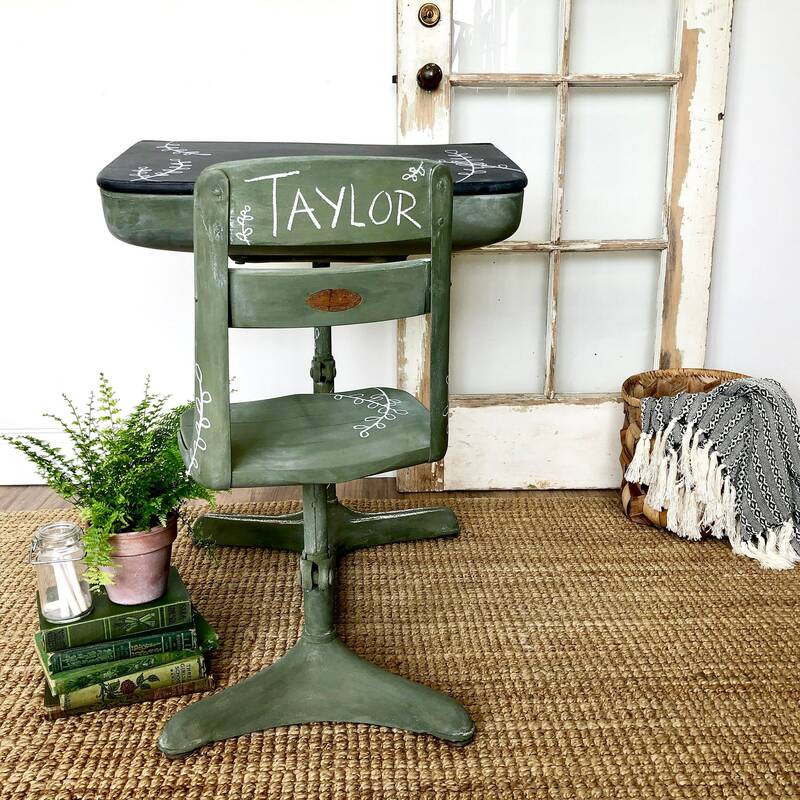 Add a touch of vintage nostalgia to your kid's play or bedroom. 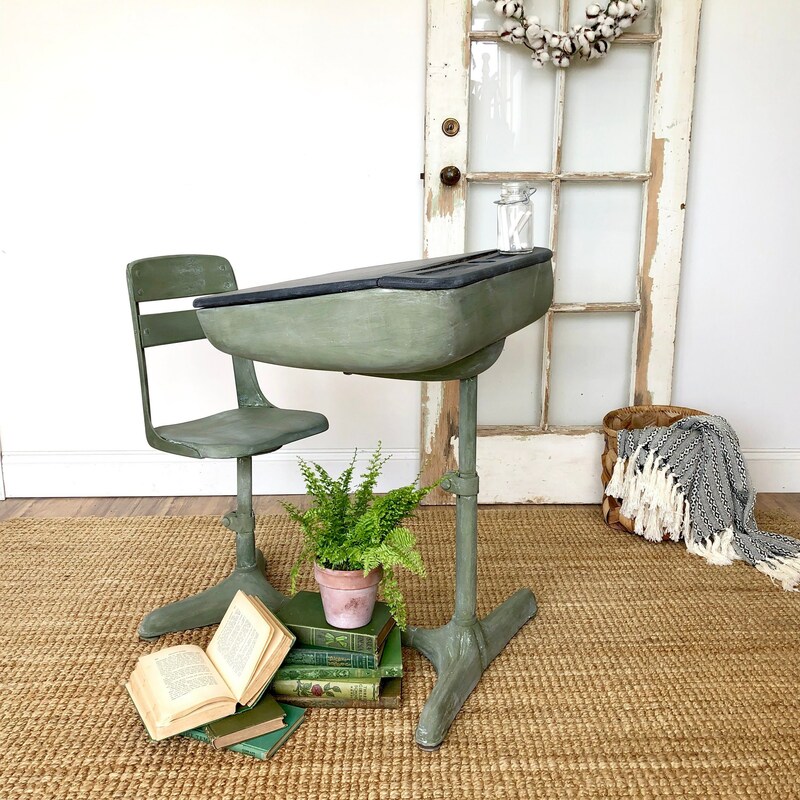 This adorable antique school desk from c1940s will bring hours of pleasure and function to a young creative mind. 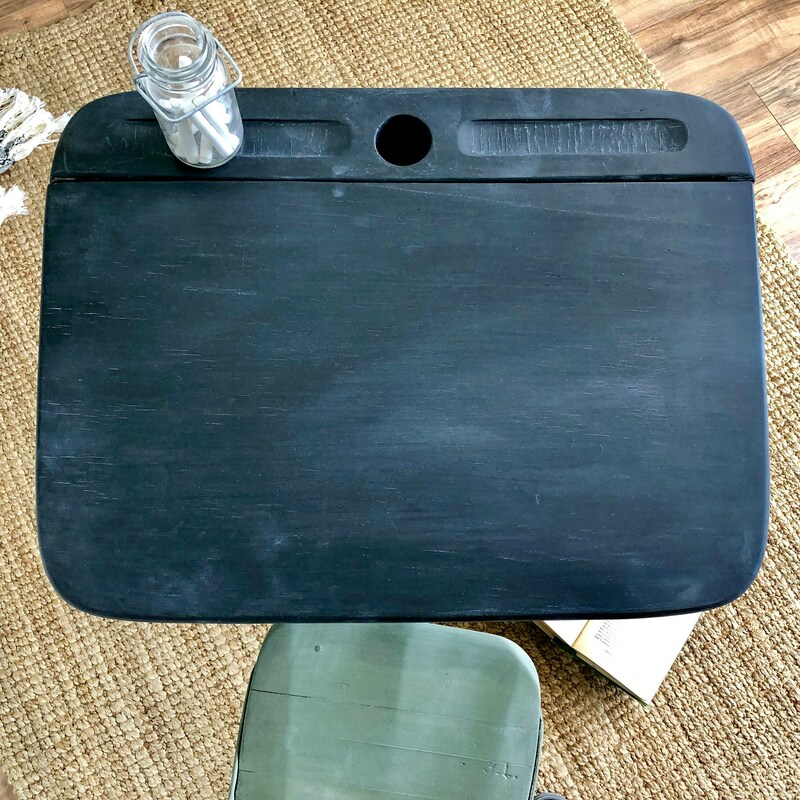 The entire desk has been refinished with chalk paint so that it can be their canvas. 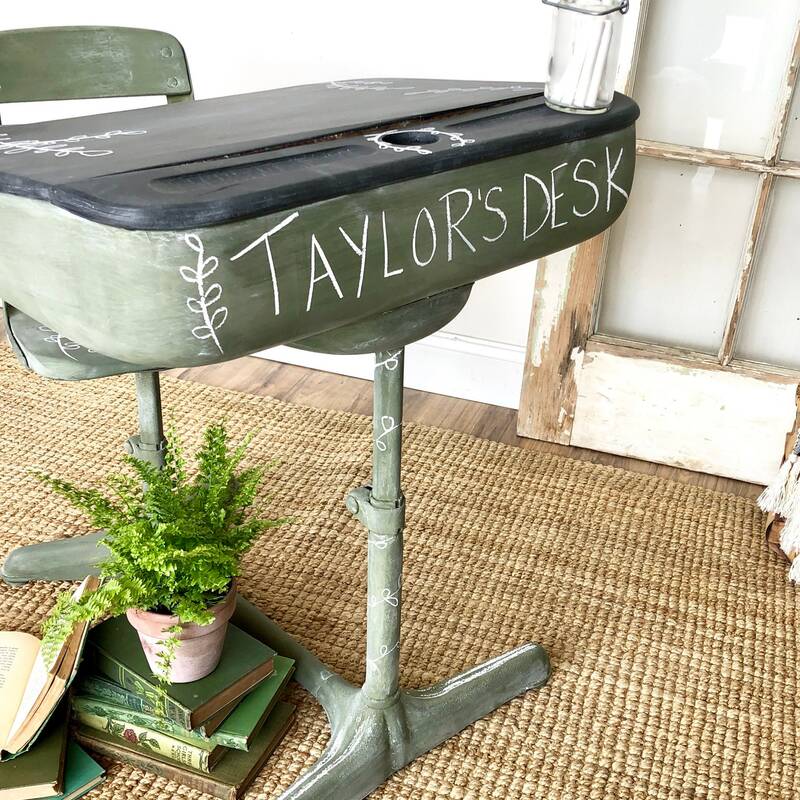 Let them scribble all over it and keep their art supplies inside of the lift top desk. 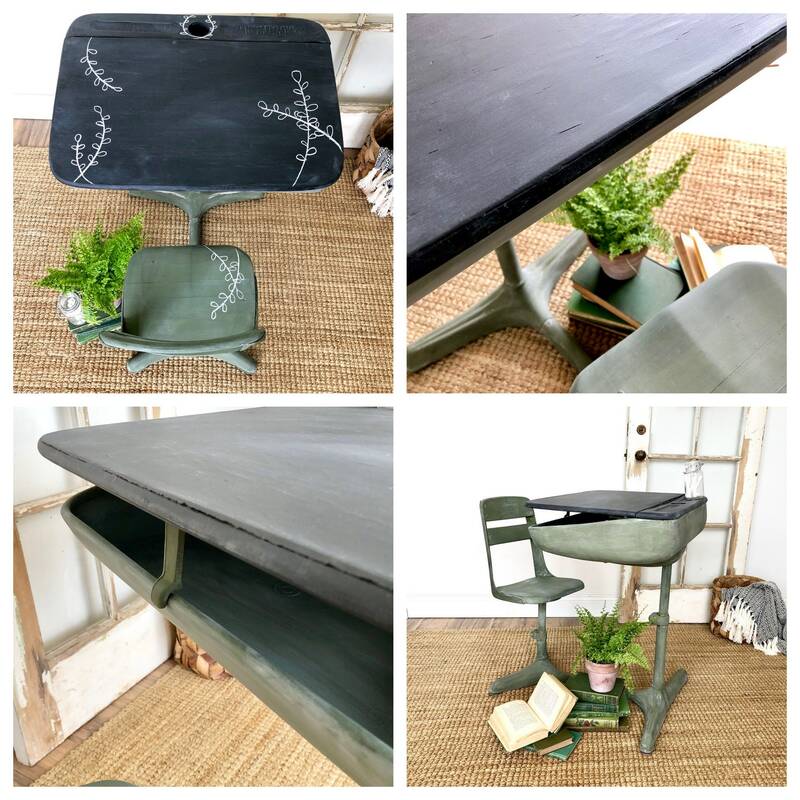 This Antique, School Desk is from around the 1930s - 1940s, complete with ink well slot. 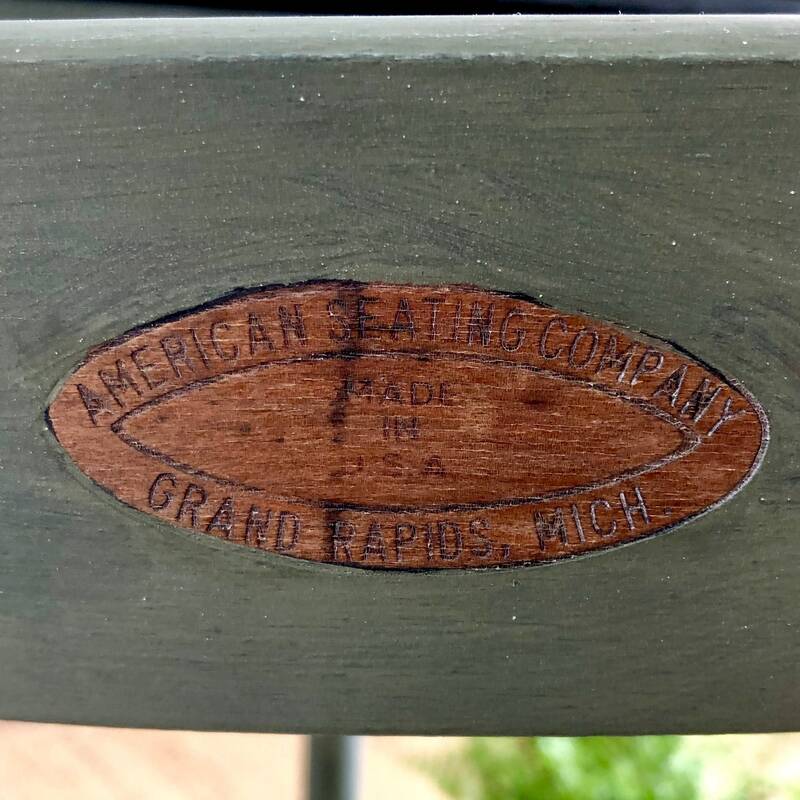 Fully restored to its original patina. 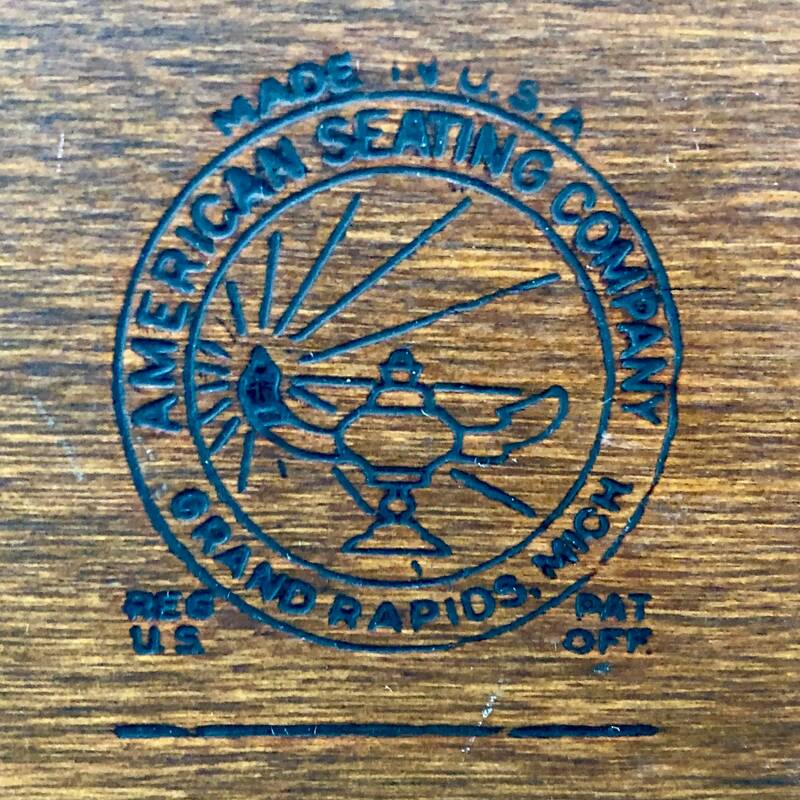 It looks like dark walnut stain was used. 24" W x 30" D x 29.5" H (Seat = 16" H). 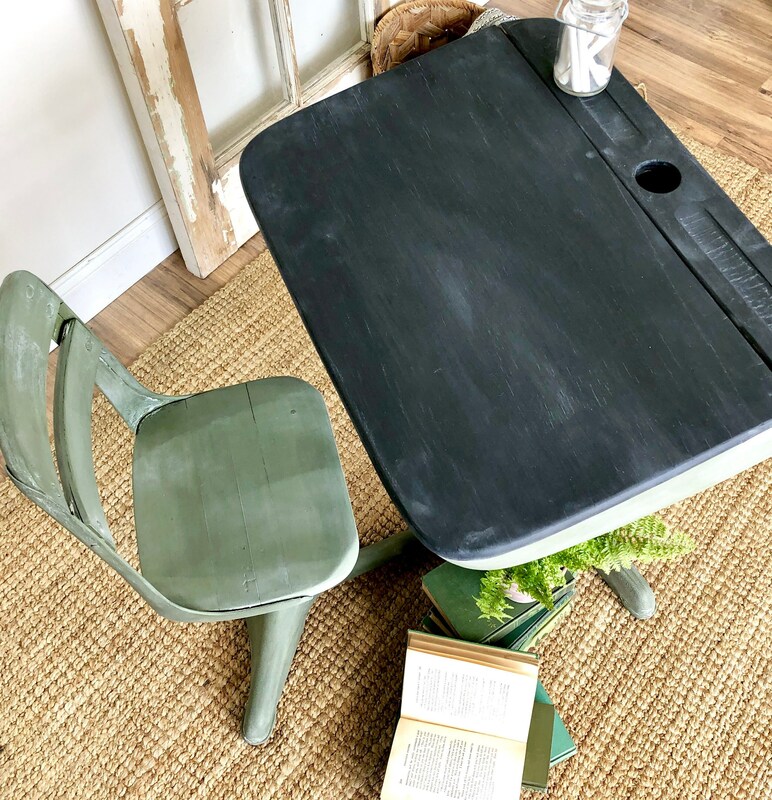 Hand-Painted in green and black chalkboard paint to enable kids to write on all the surfaces of it. 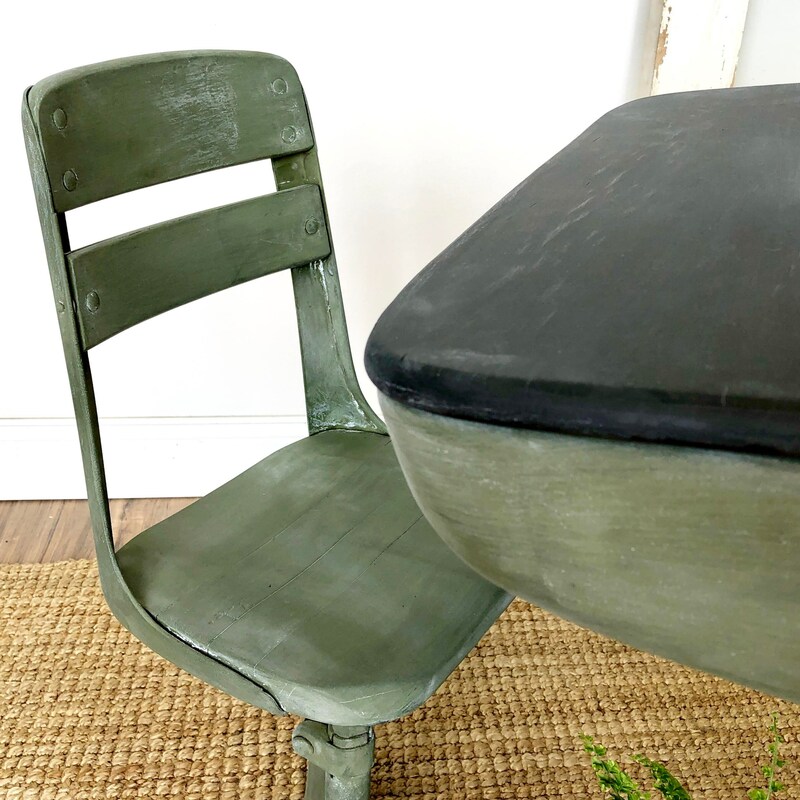 In strong and sturdy vintage condition with age-related imperfections that have been incorporated into the rustic, distressed finish. 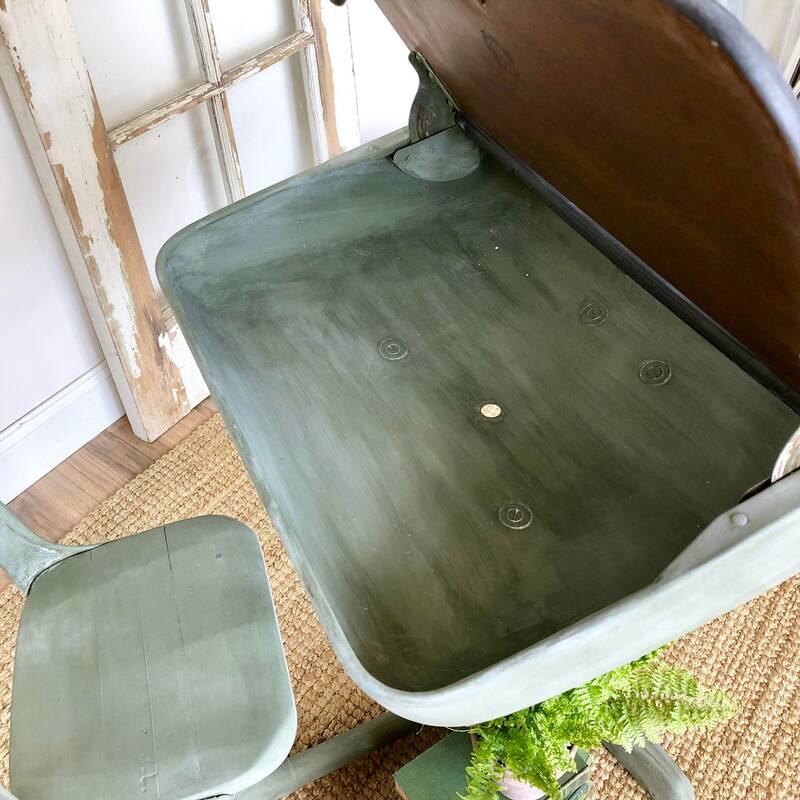 For unique vintage and antique pieces of distressed furniture and home accents, please visit our website or visit our shop in Newton, NJ 07860.